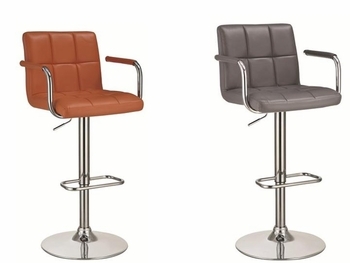 This adjustable bar stool is an excellent addition to your home. 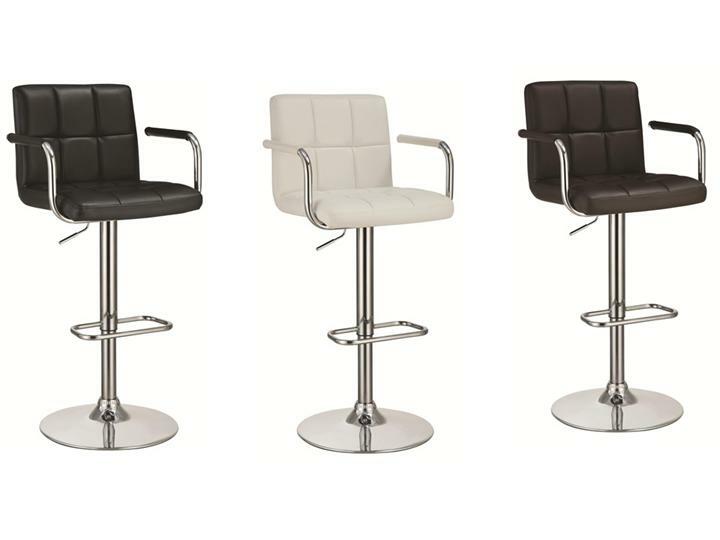 The back and seat is upholstered in a durable leather-like vinyl with paneled cushioning for long-lasting comfort. 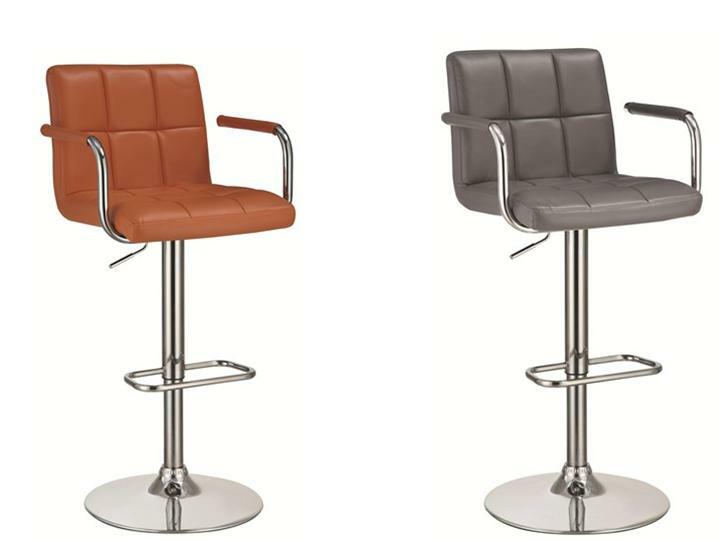 The pedestal base is completed in a chrome-colored finish and includes a footrest. The arms reach up from the seat towards the back and have coordinating leather-like vinyl for added comfort. The height is adjustable and ranges from 27.5-inches to 43.5-inches tall.